What we put in our bodies—whether it’s food, drink or supplements—has never been more scrutinized. Many believe that this laser focus—from where our food is sourced to its nutritional content to the rise of vegetarianism, dairy-free and gluten-free diets to the growing food tribes of keto, paleo and the like—has no doubt led to a healthier population. Plant-based diets are on the rise, transparency and sustainability make headlines, and food waste is lambasted. All good things, right? Enter the age of personalized nutrition where science and technology can dictate what food is right for us—not only for weight management but, more importantly, to manage our overall health and wellness. There’s no denying that today’s consumers expect personalization in every aspect of their lives—whether it’s artificial intelligence-based recommendations from Netflix or Amazon, designing our own pair of Nikes or Levis, restaurants that cater to every dietary need, or devices that track every move we make, including requesting help if we’ve fallen or our heart rate is in the danger territory. Personalization is a trend that is here to stay—a 2018 Study of US consumers showed that 90 percent find personalization appealing. Traditionally, genetic testing, blood analysis and other testing for the purpose of personalized diet/nutrition advice were reserved for specific medical, cultural, dietary or allergy issues. Today, sophisticated personalized nutrition recommendations based on affordable, self-administered tests are accessible at relatively low costs (and will only keep getting more affordable). In addition, the emerging science of nutrigenomics—the study of how food affects our genes and how genetic variations affect the way we react to nutrients—has been propelled forward by technological advances that enable the measurement of key biomarkers almost in real time (think: ingestible sensors, DNA profiles constructed from saliva samples, and devices to draw blood at home without needles). Combine this with today’s ready access to big data and it’s clear why dozens of personal nutrition companies promising to transform our health and wellness through the power of food have emerged in the past few years, and why many well-known brands, such as WW (formerly Weight Watchers) and even Lean Cuisine (which trialed a DNA-based diet plan in 2018) are focused on delivering personalized programs/products. The desire—and seeming wherewithal—to live longer, healthier lives is a huge driver of this trend. Recent research around longevity and mortality, including the famous Blue Zone Projects (regions of the world where people live much longer than average), has shown that there IS a “secret sauce” to living longer and that food, nutrition and movement (none of the Blue Zone folks actually schedule “exercise”) play a key role. 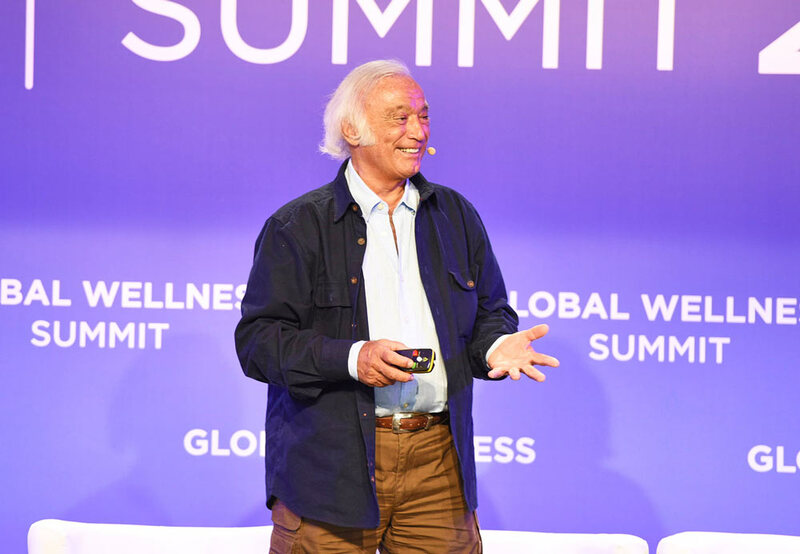 Giovanni Mario Pes, PhD, MD, and senior researcher at Italy’s University of Sassari, told GWS delegates in his address at the Summit that, though he originally assumed genetics was the key to living beyond 100, his on-the-ground research in Sardinia, Italy, (the first identified Blue Zone) showed that genes are only 25 percent responsible for lifespan and that lifestyle factors make up the rest. This knowledge has given rise to a growing awareness that healthy eating is central to health and wellness (including disease prevention)—something we’re seeing played out every day as quality-produced food usurps convenience, packaged foods among consumers. Perhaps it’s not surprising that a recent study of UK millennials born in 2000 revealed they were less likely to drink, smoke or take drugs and much more interested in nutrition and overall wellness. ‘Generation Sensible’ has grown up with wellness and technology in their DNA. Overly curated/engineered and faddish diets have created nations of food neurotics, and, when taken to the extreme, this obsession for “clean, healthy eating” can become an eating disorder (orthorexia). Then there’s the fact that traditional “diets”—whether commercial or homegrown—aren’t often sustainable and, sadly, have been proven to negatively impact metabolism, ultimately causing dieters to put on more weight than they’ve lost. Add this to studies proving that food quality—not quantity or calorie counting—leads to sustainable weight loss and it’s no surprise that consumers are searching for evidence-based solutions for their long-term health and wellness. A vivid example of this trend comes from Weight Watchers’ recent rebranding to “WW International,” including the tagline “Wellness that Works.” In short, weight loss isn’t the goal, health is, as explained by CEO Mindy Grossman at the 2018 Summit. Personalized diets can also end the frustration among wellness-seekers who commit to difficult lifestyle changes (such as omitting dairy, coffee or gluten) in the oft-times false hope that it will lead to weight loss or feeling better when, in fact, those drastic changes may be completely wrong for their bodies. Though it’s early days in personal nutrition research, preliminary studies have shown that individuals are more likely to stick with personalized nutrition advice based on DNA, blood biomarkers and genotypes (a positive offshoot of our craving for the hyper-personalization of everything?). For example, a 42-week study of 100 Habit users found that women lost an average of eight pounds and men an average of 12. Weight loss is not the central goal, health and wellness are, but, as Habit’s Grimmer says: “When people eat in harmony to their body, a natural result is weight loss.” The same study showed a positive increase in the consumption of nutritious foods and a reduction in those things many of us can do without: sugar, trans fats and salt. This is fast moving science that is developing and improving in real time. And, because some first-movers moved a little too fast to put a stake in the ground without providing any real guidance on what personalized genome analysis means to the end user, there has been some backlash. In fact, one of the most popular genetic testing companies out there, 23andMe, ran into trouble with the U.S. Food and Drug Administration (FDA) for giving consumers health-related predictions without any guidance or interpretation. However, after working closely with the FDA, 23andMe has been approved to report on an increased risk for 10 genetically identifiable diseases, including Alzheimer’s and Parkinson’s. Pelletier points out that the most relevant component to personalization likely resides in our microbiome. However, we still know very little about the trillion of cells residing in the intestinal tract—or the exact interaction they have with the receptors in our brain and hearts. The good news is that technology and science are working at breakneck speed, and the mysteries of the microbiome will likely be solved in the next 5–10 years. In short, personal nutrition can only make good on its promise if we have a whole picture of our biology, including a “prescription” of actionable steps for achieving our best, most well selves. The exciting news is that solutions are quickly moving that way…and more advanced ones are on the horizon. Personalized nutrition is big business—and estimates say the market will reach upwards of $11.5 billion by 2025 . This isn’t too surprising given that the market for specialty foods aimed at the many emerging “food tribes” (those who exclusively define themselves by following very specific diets, such as paleo, ketogenic and vegan) has exploded in recent years. Just one example: Gluten-free products were nonexistent a decade ago and, in 2017, the global market was valued at over $4.7 billion. In the US, Habit has been around the longest—which means it also has gathered the most data on personalized diets. The company is delivering one of the most comprehensive, scientific solutions on the market today. How does it work? 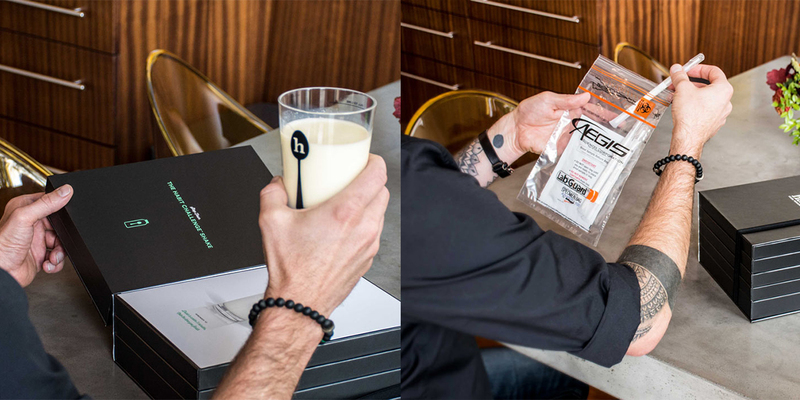 The test kit comes with DNA swabs, pinpricks for blood samples, a measuring tape, and something called the Habit Challenge Shake to measure how your body processes foods—all of which are done at home. (Habit says it will add microbiome testing once it becomes more effective.) Once processed, your personalized report will show you how your body handles carbs, fats and protein and let you know, among other traits, your predisposition for weight gain, caffeine sensitivity and lactose intolerance. Then, it caters to your nutritional needs by delivering personalized recipes (a partnership with AmazonFresh makes ordering ingredients simple), and you can take it to the next level with a dedicated registered dietitian to coach you along. Habit’s app lets you find your food tribe (it literally matches you to similar bio bodies), and a partnership with Fitbit lets customers further track their progress. At least two start-ups, Israeli-based DayTwo and US-based Viome, are already harnessing microbiome data to drive personalized diets. Research shows that people react differently to the same foods—especially their blood-glucose responses. If untreated, high blood glucose can result in preventative diseases such as obesity and diabetes. The two companies are pulling their data from different microbiome databases, but the results have been extremely promising. And, as we learn more about gut health, expect these two companies to become much more visible in personalized nutrition. InsideTracker (US) is focused on measuring the 40 biomarkers in your blood that its scientists have determined provide the best indicators of your overall health and then giving you a personal plan to modulate them with diet, supplements, exercise and lifestyle changes. Nutrigenomix is available in 22 countries and is a start-up from the University of Toronto (Canada) delivering personalized nutrition advice and physical activity recommendations based on genetic profiles. DNAFit and FitnessGenes (both from the UK) are much more interested in your genetic makeup to determine the most effective workout for you as well as providing nutritional advice to achieve your goal and any supplements that might help. One of the most exacting personalized health companies is Thorne Research, which has been providing dietary and lifestyle recommendations with nutritional supplement intervention to practitioners for years and works closely with the Mayo Clinic on wellness research. The company has long supplied elite athletes with testing and supplements to enhance their performance and has acquired WellnessFX, a company that has been at the forefront of providing personalized consumer testing and insights. Recently, Thorne announced it will launch Onegevity Health to take personalized nutrition to the next level. Onegevity will provide genetic, microbiome and metabolite tests, as well as new molecular measures of aging and skin health, and will leverage Thorne’s partnership with Drawbridge Health for its expertise in pain-free blood sampling technology. 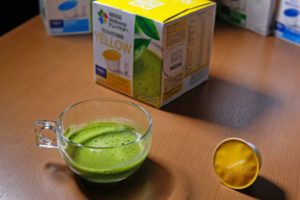 Nestle has already launched the “Nestle Wellness Ambassador” program in Japan, a personalized nutrition supplement program that prescribes capsules of nutrient-rich teas and smoothies to its 100,000 users. With all the evidence telling us that the recommended daily allowance of nutrients is completely individualized—despite what governments might require food companies to put on their labels—there is a need to know more about what exactly works for our bodies. Instead of a whole dietary and physical activity overhaul, some solutions look more toward making sure your body is getting the nutrients it needs. 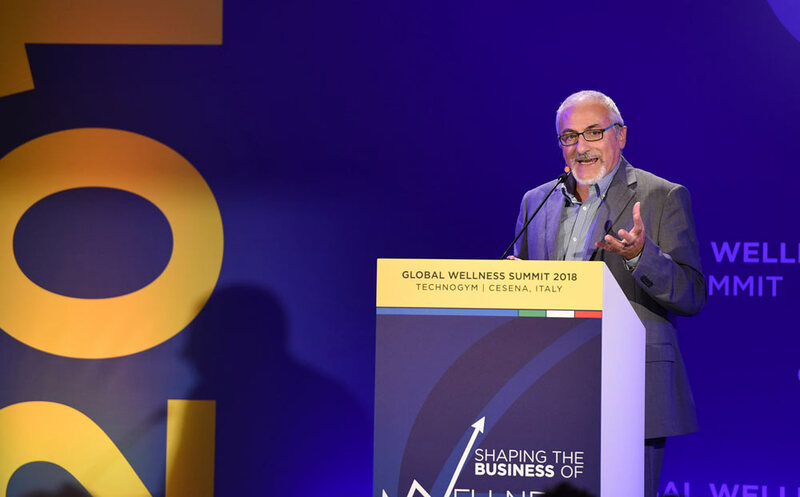 Nestle (not necessarily a company associated with nutritional values) has been working on its “Nestle Wellness Ambassador” program for a couple of years. The program combines DNA and blood testing with an Instagram-like component to recommend specially formulated supplements. Users send photos of their food and, with the help of artificial intelligence (AI), consumers are prescribed capsules for nutrient-rich teas or smoothies that are very similar to those used in Nestle’s Nespresso machines. There are already 100,000 users in Japan. 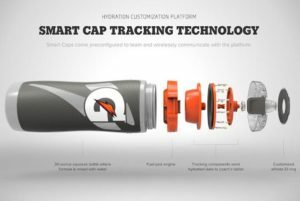 Gatorade is also getting into the game with personalized sports hydration. Using a chip-enabled skin patch, the professional-level Gx “smart” bottle measures and tracks an athlete’s hydration (including sweat!) to deliver just the right fuel and nutrients. Baze is a California-based company that is focused on personalized vitamins. Its website says, “9 out of 10 Americans are deficient in at least one essential nutrient. Marketed to enthusiastic food tribe (such as, gluten-free, locavores and raw) members who might worry that they don’t get a balanced diet, Baze takes baseline tests and sends consumers what they need, retesting every three months. All the personalized nutrition companies come with their own smartphone apps to help consumers manage their nutritional data, talk to one another, access recipes or fitness coaches, and, of course, track their own personal results. Other technology to aid in personalization is the recently released Pinto app, which can analyze photos of meals or products to offer up nutritional information to make it easier to understand what’s going into your body. The app uses artificial intelligence to assess how well a meal or a product fulfills an individual’s specific nutrition plan—whether it’s a diet you’re following or allergens you want to avoid. Another app to help with your personalized diet is Calorie Mama AI—just snap a photo of the food you’re eating, and the app will let you know the calorie count and nutritional value. Even governments are getting in on helping consumers understand what it is they are eating. Britain’s National Health Service Change4Life food scanner looks at labels to tell users sugar, salt and saturated fat levels. Lumen is a new device and app that focuses on hacking your metabolism in exchange for your breath. 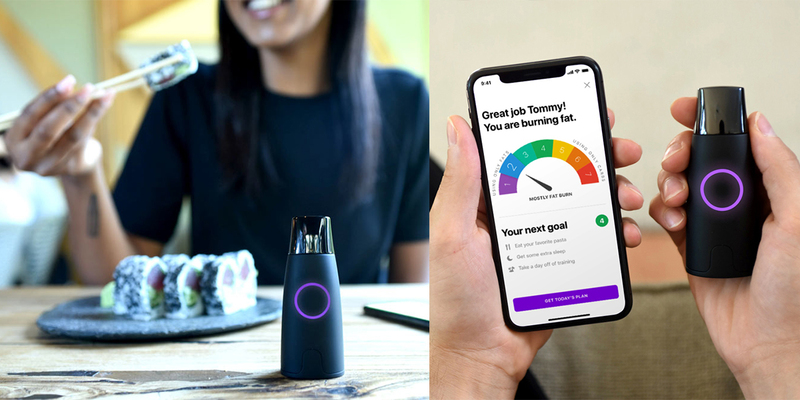 Lumen uses a CO2 sensor and flow meter to determine how your body is burning fuel and then an app that it says will take the guesswork out of your personal nutrition. It’s rumored that Google is continuing its foray into health and wellness with a new personal coaching program in the works. The concept is probably a no-brainer given all the data it has at its fingertips: AI will be used to recommend workout routines, meal plans and other wellness advice. Lumen is a device and app that claims to hack your metabolism in exchange for your breath. A CO2 sensor and flow meter determine how your body is burning fuel to help take the guesswork out of what you should eat. Your smart refrigerator may soon be alerting you to the foods you need to buy to keep your personalized diet in check, while food delivery services will start specializing in catering to your exacting personal needs. And, when heading out to eat, you will no longer have to fret about going off your personal diet. Already, in the UK, Vita Mojo restaurants have partnered with DNAFit to deliver personalized meals, while US-based Habit has already trialed a workplace program working in tandem with company cafeteria chefs. In the near future, we could walk into any restaurant and provide a saliva swab and/or painless blood sample to have foods designed to our nutritional needs—or, better yet, you might bring in your private DNA data on a thumb drive or allow access to it via a database. Unsurprisingly, in the hospitality wellness space, personalized nutrition and fitness programs already abound—but you can expect this trend to go far and wide to personal fitness boutiques, day spas and gyms. Numerous destination spas already take saliva swabs from guests before arrival, matching up all-inclusive meals and fitness regimes to their personalized needs. Canyon Ranch (US) has an extensive program that even stretches to dining with a personal nutritionist to gain real insights, while the Mandarin Oriental in Hong Kong and Careys Manor in the UK both promote their relationships with DNAFit for helping guests develop their personalized plans; and Cal-A-Vie in California works with WellnessFX to help guests navigate their personal needs. VIVAMAYR in Austria has been emphasizing personalized programs for over a hundred years, and the luxurious SHA Wellness Clinic in Spain was founded on personalization at every level. Gx “smart” bottle measures and tracks an athlete’s hydration (including sweat!) to deliver just the right fuel and nutrients. Though workplace wellness efforts have had some pushback in the past for monitoring and tracking an employee’s every move, personalization has the potential to offer greater appeal as more and more workers entering the workforce see the value in personalized plans for their overall wellbeing. In Singapore, Smartfuture is bringing personalized health into the workplace. The tech company plans to install 20,000 health checkup kiosks in offices by the end of 2019, measuring key health metrics like BMI, blood pressure and blood glucose. Based on results, workers will receive personalized diet and fitness recommendations as well as the option to consult with a wellness expert over the phone or in their homes. Having detailed information about your genome, biomarkers and microbiome (gut health) will only be empowering if you understand the data and know how to use it. Because of this, we anticipate a need for a whole new kind of personal coach: epigenetic coaches. Apeiron is already certifying epigenetic coaches to help individuals make the right lifestyle modifications (food, fitness, stress) to optimize their health. We expect wellness businesses to begin having epigenetic coaches on hand. In the not-too-distant future, we anticipate that the insurance industry will capitalize on the access to all this personal nutrition and fitness data (clearly with consumer consent) by combining the data points and creating personalized health and life insurance plans to reward healthy behavior with more affordable premiums. We are only at the tip of the iceberg in terms of understanding the microbiome (gut health), but, in the near future, we will know much more of what the enormous ecosystem inside each of us is telling us, including how much exercise you really need, whether meditation is really good for you, how our bodies react to specific nutrients, and, of particular interest to fighting off disease and illness, how our bodies react to pharmaceuticals. More scientific proof and evidence that personalized nutrition really works will bring this trend mainstream—in conjunction with a much lower cost of entry as testing becomes ubiquitous. Finally, as we begin to understand that reconfiguring our own genes is not only possible but also bears positive results for our descendants as well, we will begin to act on this to ensure the health and wellness of future generations.